Are your firearms Bore Tech C4 Carbon Remover clean? 1) Wet 3 to 4 Bore Tech X Count patches with C4 Carbon Remover and individually push through bore to remove loose fouling. Only push patches through the bore in ONE direction. 2) Next, make 10 to 15 passes with a tight fitting Bore Tech brush saturated with C4 Carbon Remover. 3) Then repeat Step 1 and let C4 Carbon Remover soak for 5 to 10 minutes. For badly fouled rifles or parts, extended soak times may be needed. 6) Before storing firearm, dampen a patch with C4 Carbon Remover and push through bore. This will protect against rust/corrosion for up to 2 weeks under normal storage conditions. Q: What is the difference between C4 Carbon Remover and Eliminator Bore Cleaner? A: The C4 Carbon Remover is recommended for extreme carbon fouling situations such as AR bolt/bolt carriers, revolver cylinders or neglected barrels and specifically removes carbon fouling only. Eliminator removes both carbon and copper fouling and is recommend for most regular fouling situations. Please see our Chemical Selection Guide located in the Specification Tab or in our Knowledge Center for more information. Q: Is C4 Carbon Remover safe to leave soak in a barrel overnight? A: Yes, the C4 Carbon Remover can be left to safely soak in barrels for an infinite time period. Q: Does C4 Carbon Remover contain ammonia or any other barrel damaging components? A: No, the C4 Carbon Remover is 100% barrel safe. Q: Is the C4 Carbon Remover safe for use on chrome lined barrels? A: Yes, the C4 Carbon Remover can be safely used on chrome lined barrels, chromoly steel barrels, stainless steel barrels and any other commonly used barrel steel. Q: Is the C4 Carbon Remover safe if it gets on my rifle stock? A: The C4 Carbon Remover is safe on all polymer, fiberglass, laminated or polyurethaned wood. However, if the C4 Carbon Remover comes in contact with an oiled wooden stock, it might cause a blemish by removing the oil and require reapplication of sealing oil. Q: Can C4 Carbon Remover be used on the outside of my rifle barrel? 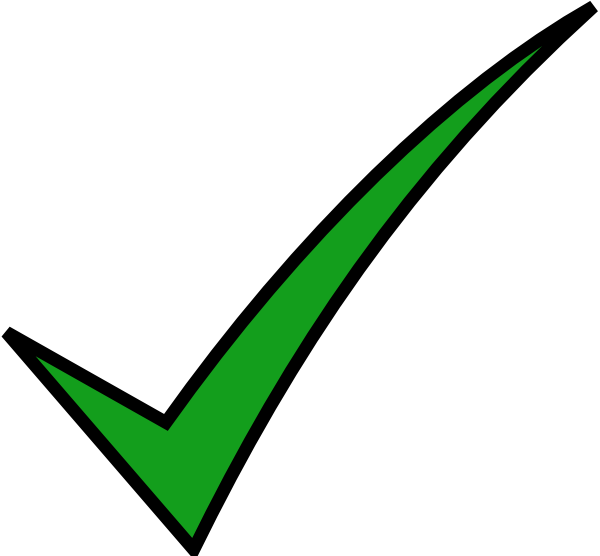 A: Yes, the C4 Carbon Remover can be safely used on the outside of a rifle barrel to remove carbon fouling. Once finished cleaning be sure to wipe the cleaned area dry and apply Bore Tech Shield XP Rust Preventative. Q: Can C4 Carbon Remover be used on nickel plating? A: Yes, the C4 Carbon Remover can be used on nickel plating but cannot be left in contact for more than 3-5 minutes. Extended contact can lead to darkening or discoloration of the plating. Do not use on plating that has been damaged or worn. Q: Can C4 Carbon Remover be used as a lubricant? A: No, the C4 Carbon Remover is a cleaner not a lubricant. 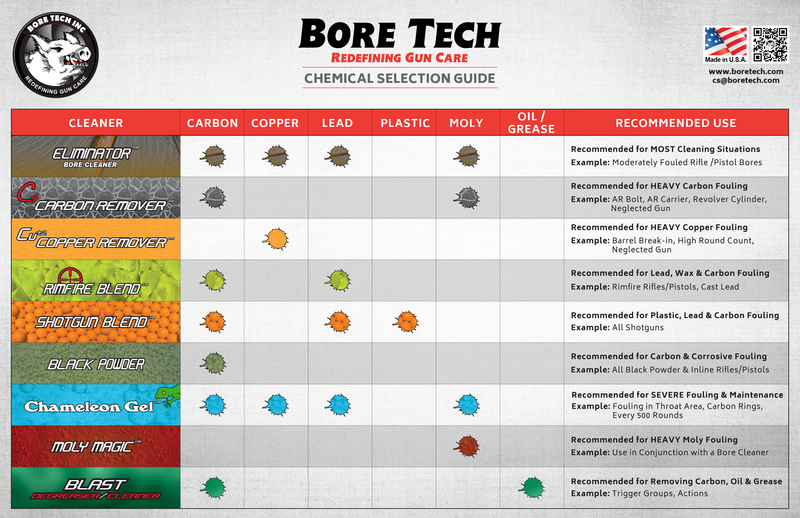 Use Bore Tech Friction Guard XP Gun Oil for superior lubrication. Superb Engineered Product that blows away the competition hands down!! Awesome Family to deal with!! My 1911 had very bad carbon fouling. Nothing I could find would touch it. The patches would come out almost completely white. This stuff works, Sure it took 7-8 cleaning runs as per the instructions and about 100 patches. It got the job done and my barrel looks new again. My only regret is not buying the bigger bottle. I figure with regular cleaning after each range trip it should only take 1 cleaning run to have it looking new. Bore tech, thank you I am a customer for life. Recently I called and spoke to one of your knowledgeable staff describing to them some of the barrel fouling issues I was having. After having purchased a bore-scope earlier this year I was convinced that my .338LM was in need of a barrel replacement. I just wanted to leave this review and say that after using your Cu+2 Copper Remover & C4 Carbon Remover all signs of fouling are completely gone from all rifles. The carbon and copper solvents worked extremely well without offensive odors or harsh chemicals. I love these products! You have another salesman working for you... Thanks!